Area: 3473 sq km. 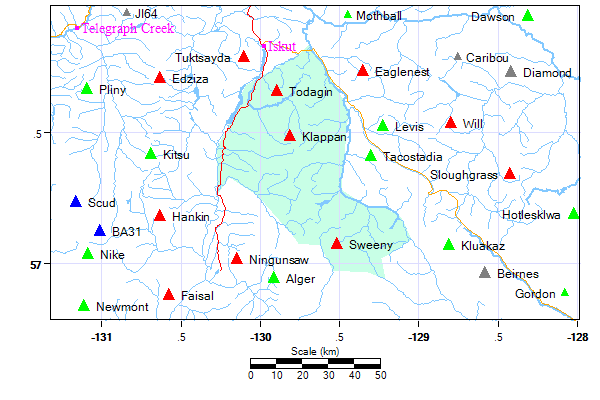 Location: West of the Klappan River, east of the Iskut, a large range of the Stikine perimeter. Its southern boundary merges with ranges lining the Bell-Irving and Nass Rivers.